The ideal training aid to simulate the handling and carrying of a person during rescue situations, the Ferno Rescue Emergency Dummy (FRED) can be filled with a sand/sawdust mixture up to its maximum usable weight of 121 lb (55 kg) to simulate the weight of an adult. 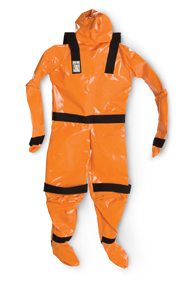 FRED is made from heavy-duty, water-repellent ripstop PVC with heavy-duty UV-resistant stitching. Foot heels are reinforced for dragging, and rings of hook-and-loop on the abdomen and hands help keep FRED secured when being moved.